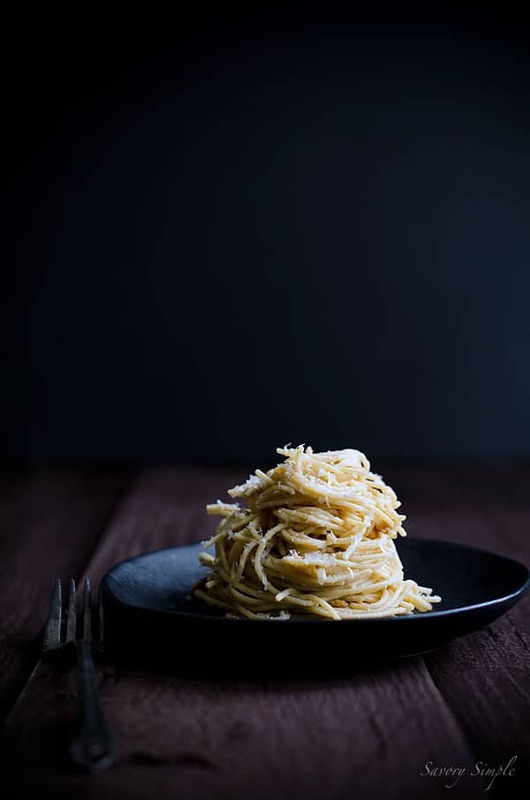 Nutty brown butter and parmesan cheese give this pasta dish tons of flavor! 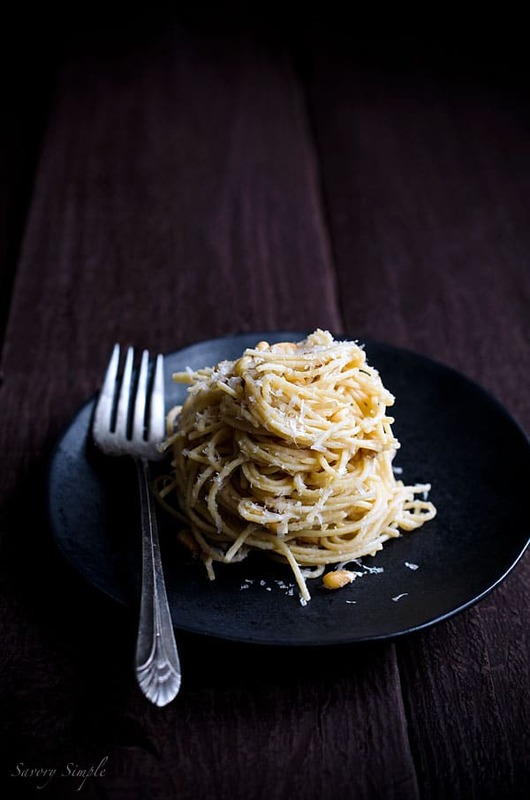 This Spaghetti with Parmesan, Pine Nuts and Brown Butter Sauce is a simple, comforting dinner. It is very difficult going through life as a space cadet. I am constantly emailing myself reminders because I know most thoughts won’t stay in my head for more than a moment. I’m the only person I know who can repeat the two thing I need from downstairs, out loud, all the way down the stairs and still forget one of the things. I keep multiple lists in an attempt to stay organized- tasks, groceries, recipes, etc. I scribble reminders all over my calendar. Being a space cadet is not only annoying, it’s time consuming and sometimes a bit exhausting. I waste a lot of time being distracted, trying to remember things or realizing I forgot about certain things. 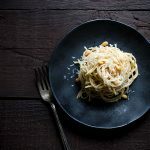 What’s nice about this spaghetti with parmesan, pine nuts and brown butter sauce is that it requires very little thinking on my part. I always have these ingredients in the kitchen so there’s no concern about forgetting to pick them up. It takes very little time to prepare so there’s no need to think about it earlier in the day. It is, in a way, the perfect dinner for a space cadet like me. This is a flavorful, simple dinner that comes together in no time. It's the ultimate comfort food! Prepare the pasta according to package instructions. Before draining, reserve 1/2 cup of the pasta water and set aside. 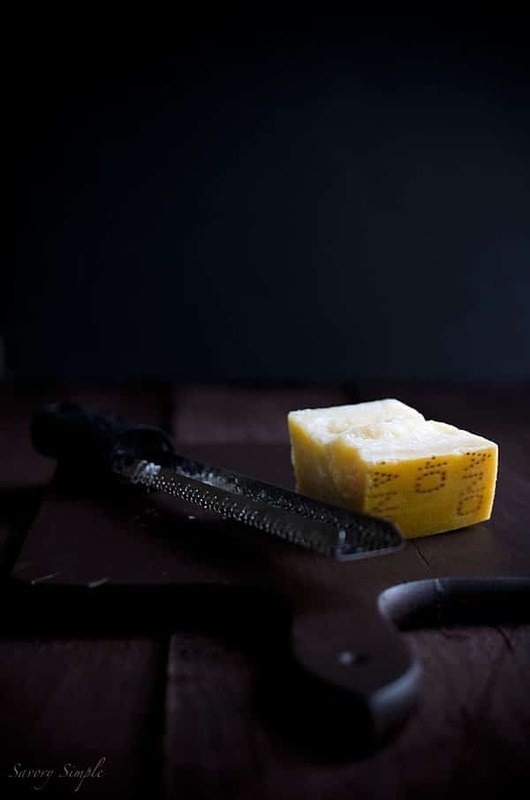 In a sauté pan, melt 1 tablespoon of butter over medium low heat. Add the pine nuts and toss to coat. Stir periodically until the pine nuts are golden brown and fragrant. Add the garlic and stir for another minute. Set aside. In a small saucepan, melt the remaining 6 tablespoons of butter. Turn the heat up to medium and whisk constantly until the butter begins to brown. You can push the color a bit (more brown color equals more flavor) but be careful that it doesn't burn. When the butter is nice and brown, add the chicken stock and whisk together briefly. Allow the sauce to reduce down by about half or until it reaches a desirable sauce consistency, about 5 minutes. Season with a bit of salt to taste. In a large bowl, toss together the cooked pasta, pine nuts, garlic, brown butter sauce and lemon juice. Stir in the parmesan cheese. Add some of the reserved pasta water as needed to help the ingredients combine. Garnish with more grated parmesan cheese, if desired. Replace the chicken stock with vegetable stock for a vegetarian recipe. that’s a plate of delish!!! Oh yes – give me all the brown butter there is!